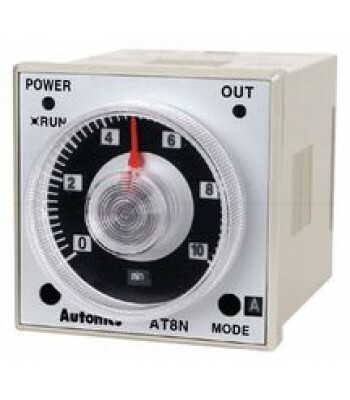 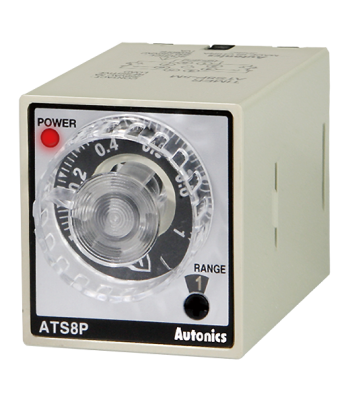 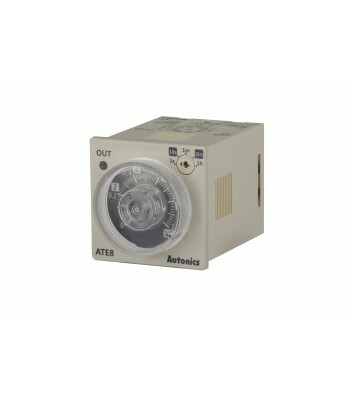 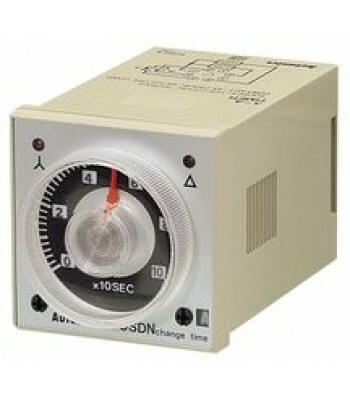 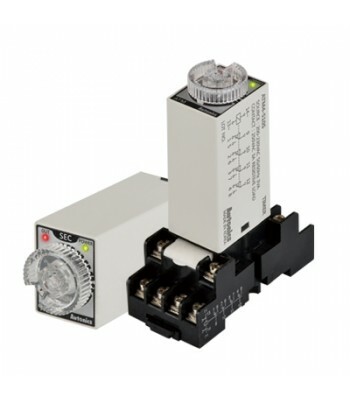 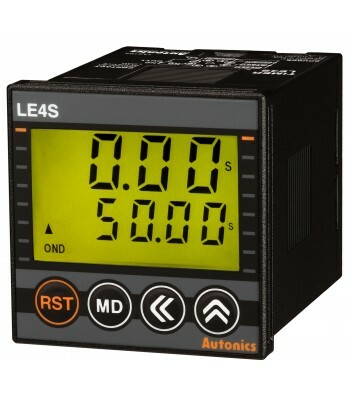 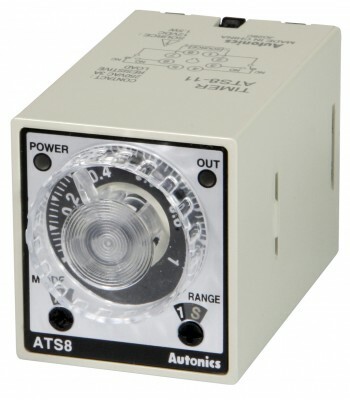 Timer, Analog, 6-Mode, Multi-Range, DPDT or SPDT Timed/Instant.,100-240VAC/ 24-240VDC (socket req'd).. 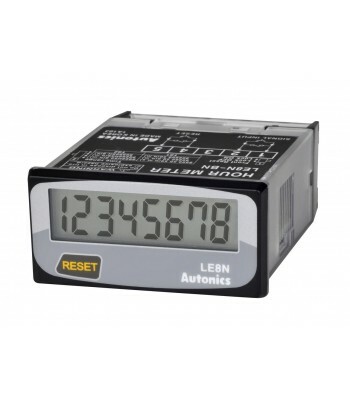 Hour Meter, 8 digits LCD, 1/32 DIN, Built-in Battery power, Selectable front reset key, Voltage Inhi..
Timer, Yearly, 1/16 DIN, LCD, 3 operation mode, Week 48 Steps / Year 24 steps, 1 SPST Outputs, 100-2.. 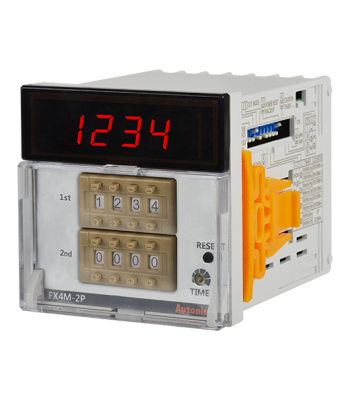 Counter & Timer, W72xH72mm, 4-Digit, LED, 2 Presets, 2 Relay & 2 NPN Outputs, 100-240 VAC..
Timer, Year/Weekly, W72xH72mm, LCD, 3 operation modes, Year 24 / Week 48 Steps, 2 SPDT Outputs, 100-.. 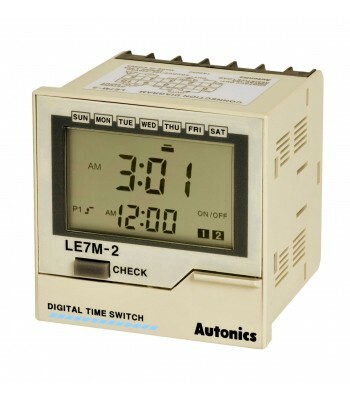 Hour Meter, 8 digits LCD, 1/32 DIN, Built-in Battery power, Selectable front reset key, No Voltage I..
Small Analog Timer, 6-Mode, Multi-Range(0.1 Sec-10Hours), DPDT(2c) or 2 SPDT, 100-240 VAC/24-240 VDC..
Timer, Digital,1/16 DIN, On-Delay, Multi-Range, SPDT Timed & SPDT Instant, 24-240 VAC/VDC(socket re..
Small Analog Timer, 6-Mode, Multi-Range(0.3 Sec-30Hours), DPDT(2c) or 2 SPDT, 100-240 VAC/24-240 VD..
Small Analog Timer, 6-Mode, Multi-Range(0.3 Sec-30Hours), DPDT(2c), 100-240 VAC/24-240 VDC, 11-Pin, ..
Small Analog Timer, 6-Mode, Multi-Range(0.1 Sec-10Hours), , 2 SPDT, 100-240 VAC/24-240 VDC, 11-Pin,..
Small Analog Timer, 6-Mode, Multi-Range(0.1 Sec-10Hours), DPDT(2c), 100-240 VAC/24-240 VDC, 11-Pin, ..
Small Analog Timer, 6-Mode, Multi-Range(0.3 Sec-30Hours), DPDT(2c) or 2 SPDT, 24VAC/VDC, 8Pin, (soc..
Small Analog Timer, 6-Mode, Multi-Range(0.3 Sec-30Hours), , 2 SPDT , 100-240 VAC/24-240 VDC, 11-Pin,..
Small Analog Timer, 6-Mode, Multi-Range(0.1 Sec-10Hours), DPDT(2c), 24VAC/VDC, 11-Pin, (socket req'd..
Small Analog Timer, 6-Mode, Multi-Range(0.1 Sec-10Hours), DPDT(2c) or 2 SPDT, 12 VDC, 8Pin, (socket ..
Small Analog Timer, 6-Mode, Multi-Range(0.1 Sec-10Hours), DPDT(2c) or 2 SPDT, 24VAC/VDC, 8Pin, (sock.. 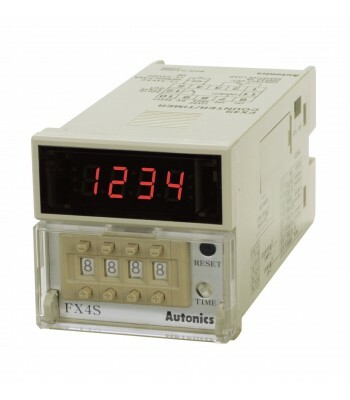 Counter & Timer, W72xH72mm, 4-Digit, LED, 1 Preset, Relay & NPN Output, 100-240 VAC..
Small Analog Timer, 6-Mode, Multi-Range(0.1 Sec-10Hours), , 2 SPDT , 12 VDC, 11-Pin, (socket req'd).. 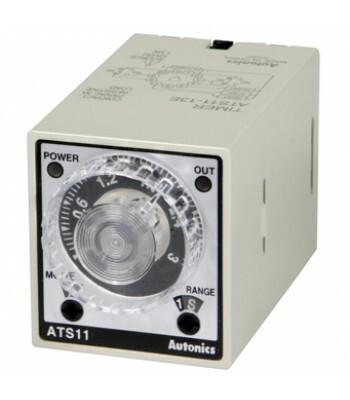 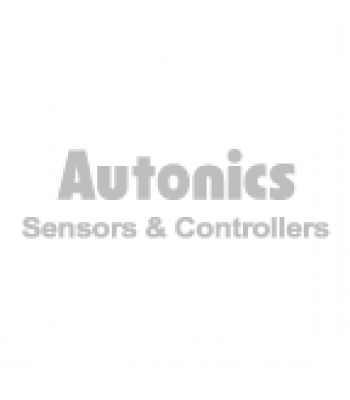 Counter & Timer, W 72mm x H 72mm, 4 Digit, Indicator Only, 120-240 VAC..
Small Analog Timer, 6-Mode, Multi-Range(0.1 Sec-10Hours), , 2 SPDT , 24VAC/VDC, 11-Pin, (socket req'..
Small Analog Timer, 6-Mode, Multi-Range(0.3 Sec-30Hours), DPDT(2c) or 2 SPDT, 12 VDC, 8Pin, (socket..
Small Analog Timer, 6-Mode, Multi-Range(0.3 Sec-30Hours), DPDT(2c), 12 VDC, 11-Pin, (socket req'd)..
Small Analog Timer, 6-Mode, Multi-Range(0.1 Sec-10Hours), DPDT(2c), 12 VDC, 11-Pin, (socket req'd)..
Small Analog Timer, 6-Mode, Multi-Range(0.3 Sec-30Hours), , 2 SPDT , 24VAC/VDC, 11-Pin, (socket req'..
Small Analog Timer, 6-Mode, Multi-Range(0.3 Sec-30Hours), , 2 SPDT , 12 VDC, 11-Pin, (socket req'd).. 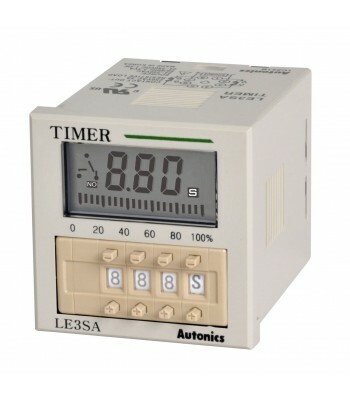 Counter & Timer, 1/8 DIN (W748xH72mm), 4-Digit, LED, 1 Preset, Relay & NPN Output, 100-240 VAC..
Small Analog Timer, 6-Mode, Multi-Range(0.3 Sec-30Hours), DPDT(2c), 24VAC/VDC, 11-Pin, (socket req'd.. 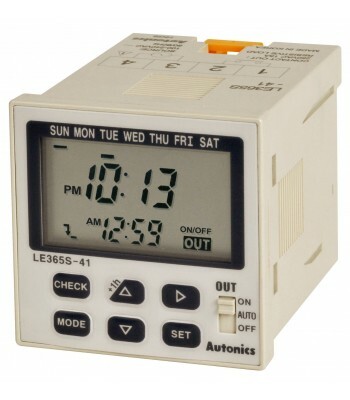 Counter & Timer, W144xH72mm, 4-Digit, LED, 2 Presets, 2 Relay & 2 NPN Outputs, 100-240 VAC..
Miniature Analog Timer, 4c, 220 VAC 50/60 Hz, 1 Sec..
Miniature Analog Timer, 4c, 24VDC, 5 Sec..
Miniature Analog Timer, 4c, 110 VAC 50/60 Hz, 30 Sec..
Miniature Analog Timer, 4c, 24VDC, 10 Sec..
Miniature Analog Timer, 4c, 110 VAC 50/60 Hz, 60 Min..
Miniature Analog Timer, 4c, 24VDC, 60 Min..
Miniature Analog Timer, 4c, 24VDC, 30 Sec..
Miniature Analog Timer, 4c, 110 VAC 50/60 Hz, 60 Sec..
Miniature Analog Timer, 4c, 220 VAC 50/60 Hz, 10 Sec..
Miniature Analog Timer, 4c, 24VDC, 60 Sec..
Miniature Analog Timer, 4c, 24VDC, 10 Min..
Miniature Analog Timer, 4c, 220 VAC 50/60 Hz, 10Min..
Miniature Analog Timer, 4c, 220 VAC 50/60 Hz, 60 Min..
Miniature Analog Timer, 4c, 24VDC, 1 Sec..
Miniature Analog Timer, 4c, 110 VAC 50/60 Hz, 1 Sec..
Miniature Analog Timer, 4c, 110 VAC 50/60 Hz, 3 Hours..
Miniature Analog Timer, 4c, 220 VAC 50/60 Hz, 30 Sec..
Miniature Analog Timer, 4c, 220 VAC 50/60 Hz, 60 Sec..
Miniature Analog Timer, 4c, 110 VAC 50/60 Hz, 5 Sec..
Timer, Analog, Star Delta, Multi-Range, SPST & SPST, 100-240VAC/24-240 VDC, 8-Pin (socket req'd)..
Timer, Backlit LCD, 1/16 DIN, 7 Mode, Multi-Range, DPDT, 24-240 VAC/VDC(socket req'd).. 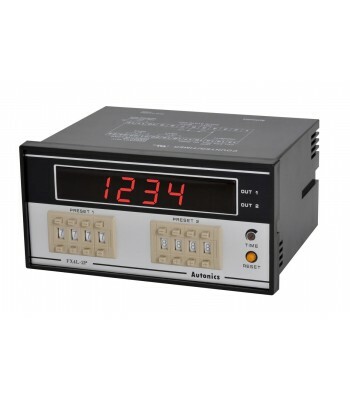 Counter & Timer, W72xH72mm, 4-Digit, LED, 2 Presets, 2 Relay & 2 NPN Outputs, 100-240 VAC 50..
Miniature Analog Timer, 4c, 110VAC 50/60 Hz, 60 Min..
Miniature Analog Timer, 4c, 110VAC 50/60 Hz, 10 Sec..
Small Analog Timer, 8 Pin Plug Type, Power Off Delay, 24VAC 50/60Hz 100-12VDC, Time unit Sec..
Small Analog Timer, 8 Pin Plug Type, Power Off Delay, 24VAC 50/60Hz 100-12VDC, Time unit Min..